Material: NBR, PTFE, Neophrene, NItrile, Viton, EPDM, & etc..
Owing to our in-depth knowledge of this domain, we are specialized in providing a comprehensive range of Rubber Bucket Seal. 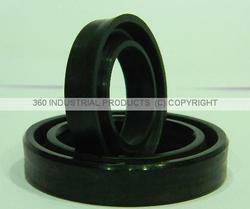 We are engaged in providing a wide range of Rubber Bucket Seal to our clients. 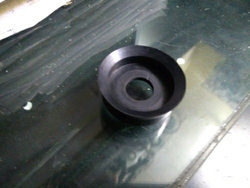 We have carved a niche amongst the most dominant names in this domain, instrumental in providing an excellent quality range of Rubber Bucket Seal. We bring forth our vast industrial experience and expertise in this business, involved in offering a high-quality range of Rubber Bucket Seal. Single acting lip seal for light application made from Nitrile polymer. These are manufactured from superior quality raw material. These are widely used in packaging based applications of various engineering industries. These are highly durable and has good compression set resistance that makes them widely demanded in the market. High quality cylender seal kits available for verious backhoe loader and excavator at reasonable price.